Fellowship Talks shares Shelby Smith’s story as heard at the 2018 Dwell Conference. Shelby walks with a humility before the Lord and others that is inspiring. Listen as Shelby tells how God has worked in his life and continues to change his heart around racial reconciliation. Click Here to watch the full story with Shelby Smith. If you want to listen to more from Dwell, Click Here. Klayton and Megan Seyler join Fellowship Talks to share their journey of miscarriage and stillbirth. They lost their daughter Maddie three years ago at about 32 weeks of pregnancy. Klayton serves Fellowship Bible Church as a Worship Pastor. They share about their journey with God and how family and D-Group members can come beside those experiences infertility, miscarriage, and death of a child. They answer how they were able to turn back to God in the midst of their struggle. This week on Fellowship Talks, we replay an interview with Carissa Hardage that was initially shown at the 2018 Dwell Conference. 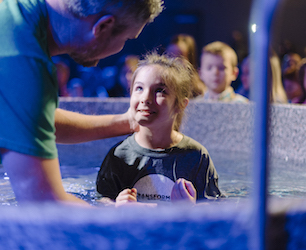 Carissa and her family are members of Fellowship Bible Church and attend the West Little Rock campus. Sit back and listen as Carissa shares how God has worked in her life and transformed her heart! Watch the full story with Carissa Hardage here. James mentioned his work with Downline. Downline is a local ministry partner of Fellowship. Learn more here. Are you in a D-Group at Fellowship? If not, what’s holding you back? Gary and Marley Jones visit Fellowship Talks to talk about the importance of D-Groups. They had their wedding at Fellowship and have since raised their family at Fellowship as well. Gary serves as a D-Group coach and as an elder at Fellowship. They have been in many D-Groups through the years and have sat in about every chair possible within those groups. 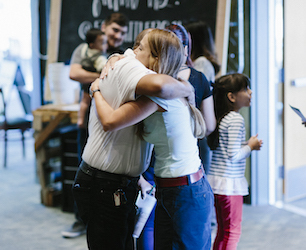 Gary and Marley share their experience at Fellowship and why Fellowship is their church. David referenced a resource called “ReNew: How the gospel makes us new” by Jim Hudson. Oh, and from all of us here at Fellowship Talks, congratulations David and Jessie on your engagement! Amy shared briefly about an experience she had at the MLK50 Conference. Watch sessions or learn more here: MLK50 Conference. Tim Caldwell joins Fellowship Talks to talk about Fellowship Midtown. Listen as he shares more about this new adventure. We will have some interest meetings through the summer with home gatherings in the fall. Our vision as a church is to join in the work that God is already doing in this part of our city. You can participate with Tim as he prays for Leaders, Location, and Life Change at this new campus. If you want more information about this new campus of Fellowship Bible Church, you can contact Tim Caldwell. Fellowship Talks sits down with Bryan Monterroso to learn more about Fellowship Español. Bryan serves alongside Daniel Bran specifically with Fellowship Español. Dan and Amy have Bryan share a few stories of what God is doing through this campus at Fellowship. Have you ever wondered how to invite someone with a Hispanic background to our services? Bryan shares how he came to Little Rock, how Fellowship Espanol was started, and how the rest of Fellowship Bible Church can serve and pray for our Fellowship Español Campus. Click Here to learn more about Fellowship Español! Fellowship Talks caught up with Glenn Packiam at the Dwell Conference. Glenn has served at New Life Church in Colorado Springs, CO for 18 years. Glen dives a little deeper into his Dwell Conference talk about the practices of the church in Ephesians 5:18-21. He shares that the fellowship of the church is uniquely shaped by the way Christ has loved us. 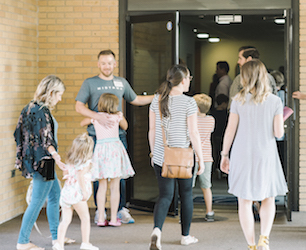 Glenn encourages Fellowship Bible Church to practice small group community that reflects the love of Jesus and make sure there is room for people that you wouldn’t have chosen. 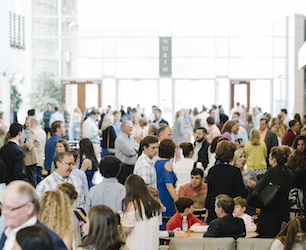 Fellowship Talks caught up with Bob Goff at the Dwell Conference. Get to know Bob as he discusses his heart for loving God and loving other people. Bob is married to sweet Maria and is a lawyer, speaker, and author. Bob joins Fellowship Talks to share about his family, his faith, and his two books Love Does and Everything Always. Conversations with Bob are always an adventure with Bob (did you know you could pet a bee while it is drinking water) and this one is no different so sit back and enjoy!